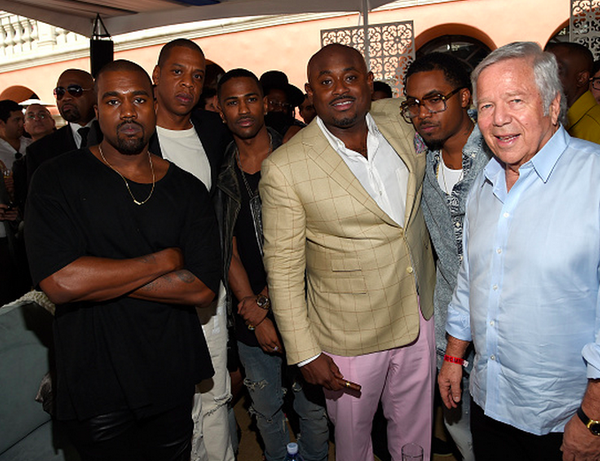 Fresh off of his Super Bowl party featuring his good buddy Ricky Ross, New England Patriots owner Robert Kraft continued to add to his street cred by appearing with Jay-Z, Kanye West, Big Sean, Steve Stoute and Nas on Saturday at the Roc Nation Brunch prior to Sunday night’s Grammys. Some might say this is an awkward picture but I say different. This picture shows the difference between winners and losers in sports. When you win, everyone wants to hang out. When you lose, not so much. 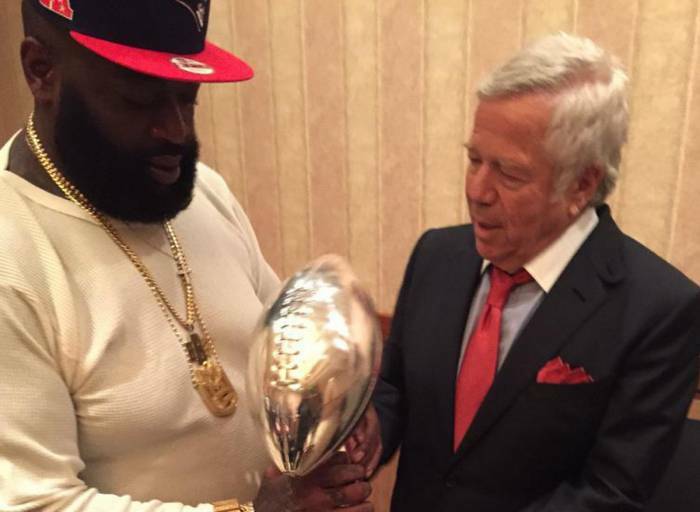 Meanwhile, where is Ricky Ross?